Because some trips are worth more than selfies. I knew my photographer was incredible when she decided to include Blood Alley in the shoot – an area that even locals had heard about but never really ventured into. Blood Alley is named so because it was originally lined with butchershops – and the blood-stained waters flowed through the cobblestone streets as butchers washed off the area each day. 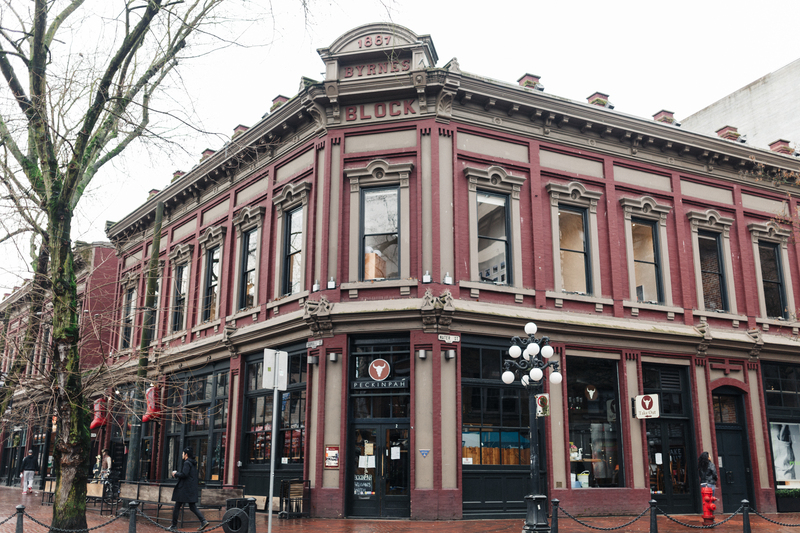 Now, upscale restaurants surround the alley but it remains painted brick red to stay true to its namesake. 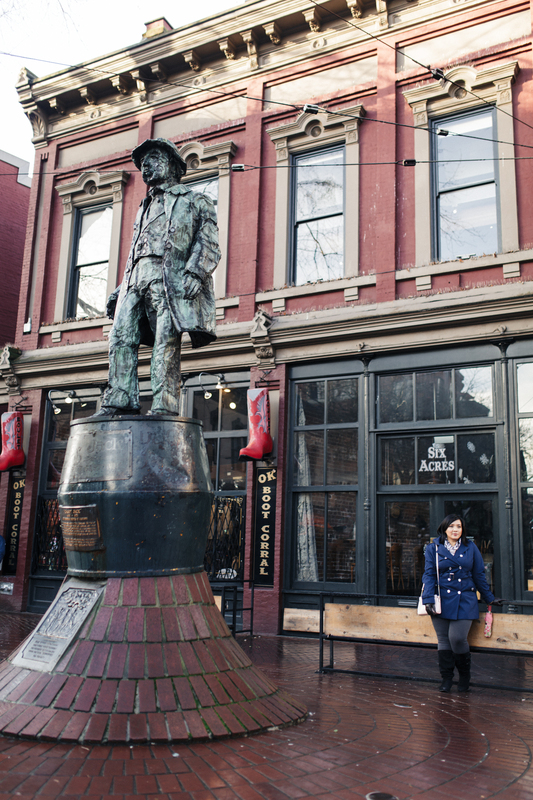 You really can’t go to Gastown and miss this iconic landmark. 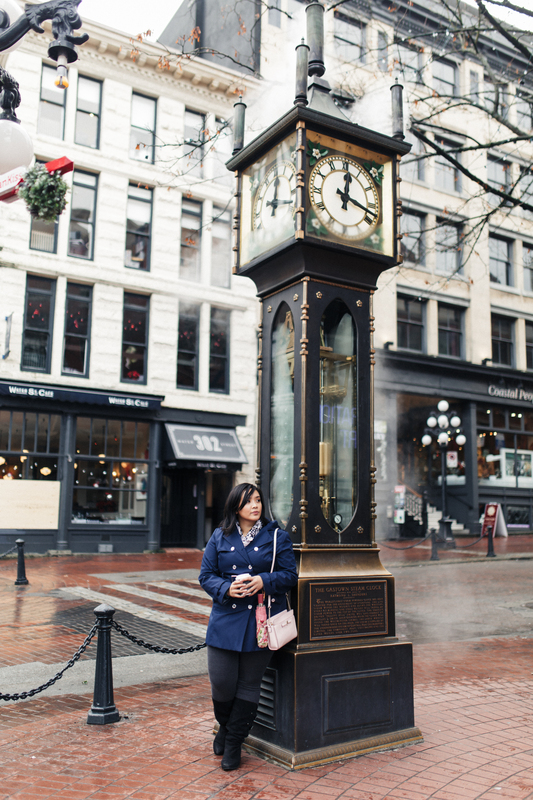 Certainly a symbol of the area, the steam clock was beautiful in the winter – you could actually see the steam! Each time I visit, there are a ton of tourists also taking pictures so we strategically planned to beat the morning rush by arriving early. 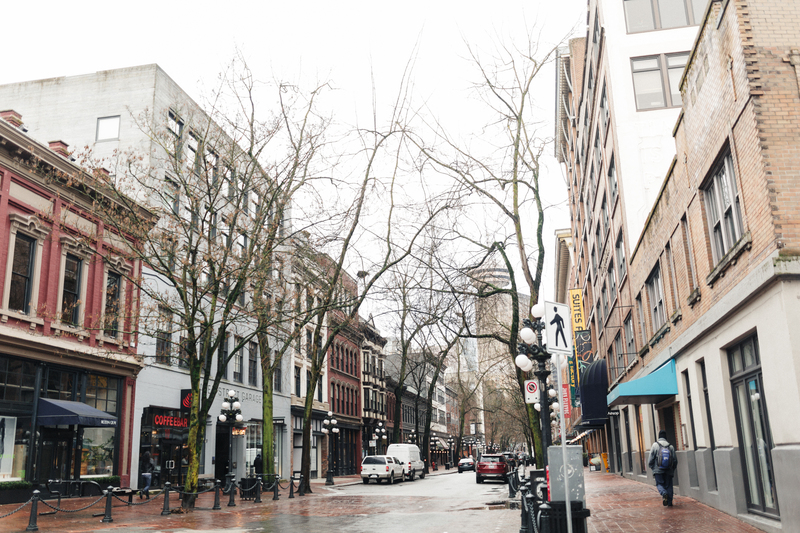 The architecture of Gastown pairs the romance of cobblestone streets with historic buildings, filled with modern minimalist shops. This marriage of old and new are then illuminated with streetlamps, and sprinkled with patios that overlook the water. There are honestly moments that I just stand still and take it all in. 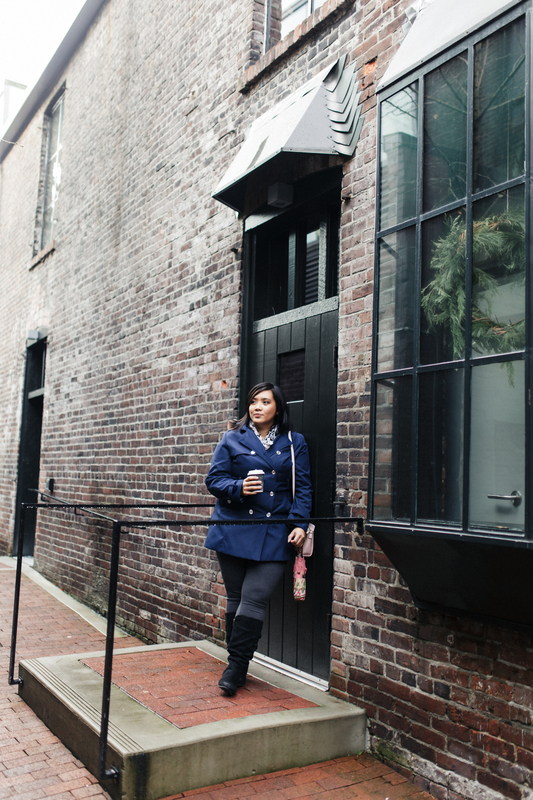 If you know me on a personal level, you’ll understand why Gastown was my kind of area. I’m pretty infatuated with this part of town. The trendiest of shops, art, restaurants, cafes and studios are in this area. I was easily distracted by the shop windows and art galleries even as I was walking to our meeting point. We dropped by Coffeebar to fill my need for a chai latte (it was delicious). During New Year’s Eve, my aunt took me to Nicli Antica Pizzeria. One recommendation I received but, unfortunately, didn’t get the chance to visit, was Gastown’s Bao Down (Pan-Asian fusion food and tapas) which also draws inspiration from Filipino cuisine. You do understand that this only means I’ll be back. 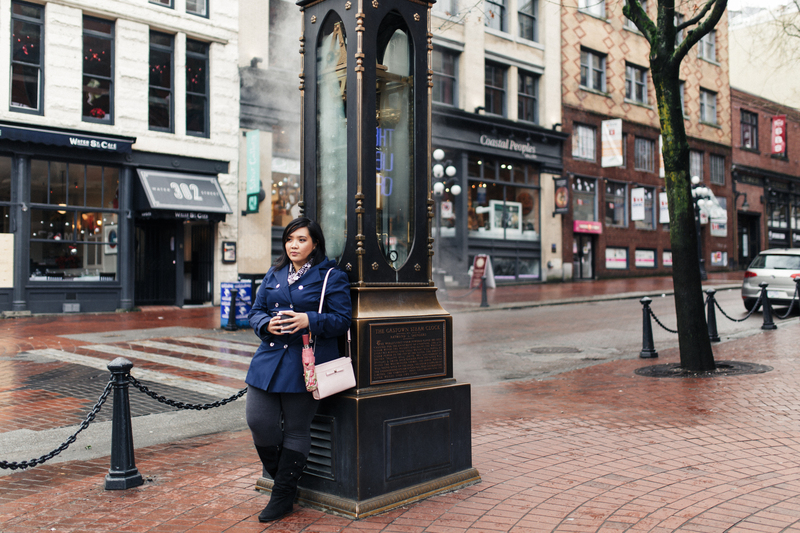 If Gastown were a person, she’d be my best friend. A big thank you to Caitlin, my concierge, and to Christie, my Flytographer. I had such a blast at this shoot and I can’t wait to book again with Flytographer. They were professional, quick to respond, and knowledgeable. Christie made me feel so comfortable for my photoshoot adventure, and provided the exact type of photos I had described. 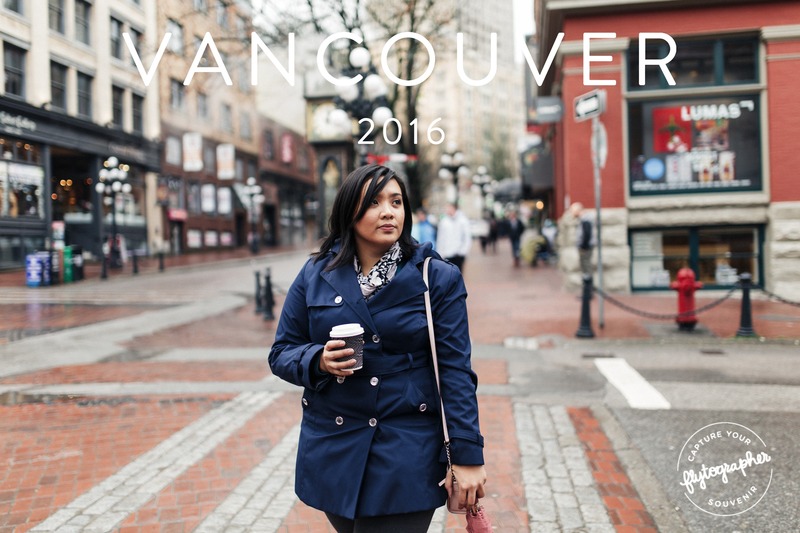 What an incredible experience in one of my favourite parts of Vancouver. ** If you are looking to book Flytographer during your next trip, feel free to use my code #FLYFAN to receive $25 off your shoot! Happy travels, challenge yourself, and love your journeys! Meet the Vancouver Christmas Market.